If you’ve been in real estate for a while, you know that you can only send so many calendars, postcards and magnets to clients before your effort gets old and turns into junk mail. One thing you can do to help differentiate your marketing materials from others is focus in on key holidays like Halloween. By taking advantage of the Halloween festivities, you’ll be able to tap into the fun and get a little word-of-mouth marketing going before everyone is consumed with the holiday season. As we all know, a big chunk of our leads come from referrals and repeat clients. Within the first year after a sale, your great work with your clients will be front of mind, and they’ll likely recommend you to others. As time goes on, your clients will, unfortunately, start to forget your name unless you take action. 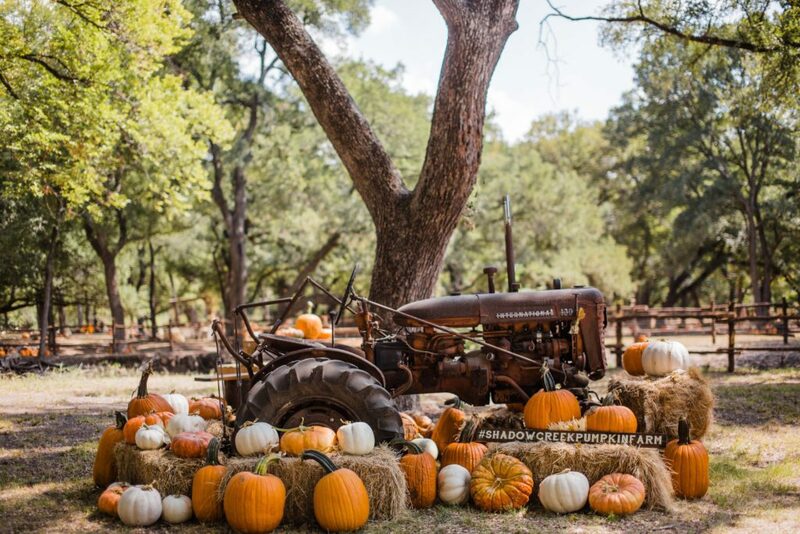 This year, consider inviting all your past clients to a pumpkin patch. Tell them any client who RSVPs can receive a free pumpkin. For clients who attend, you’ll be giving them a brand new positive memory of you to share with friends and family. For those who cannot attend, your unique event might still be a topic of conversation. More so, clients might bring family and friends with them to your pumpkin patch for the fun experience. This will give you the opportunity to introduce yourself in person. Be sure to have information about your available properties in case visitors are interested in switching communities. You should also have a sign-in spot where you can collect email addresses from people shopping for a new home. If you have a property you’re listing that has a large lot, you may even ask the owner if you can host the pumpkin patch there. It would be a fantastic opportunity to show off that great backyard. These events bring in lots of foot traffic — allowing more people to admire the beautiful home. Parents are going to be standing at the curb of your property’s neighboring houses waiting for their kids. Many will likely wander over for some reading material. Make sure you’re not burning any leads by stocking all of your flyer boxes before the trick or treating starts. This is also a great opportunity to add a QR code to all of your boxes. That way, if your physical flyers run out, parents can scan the boxes for more information on their phones. 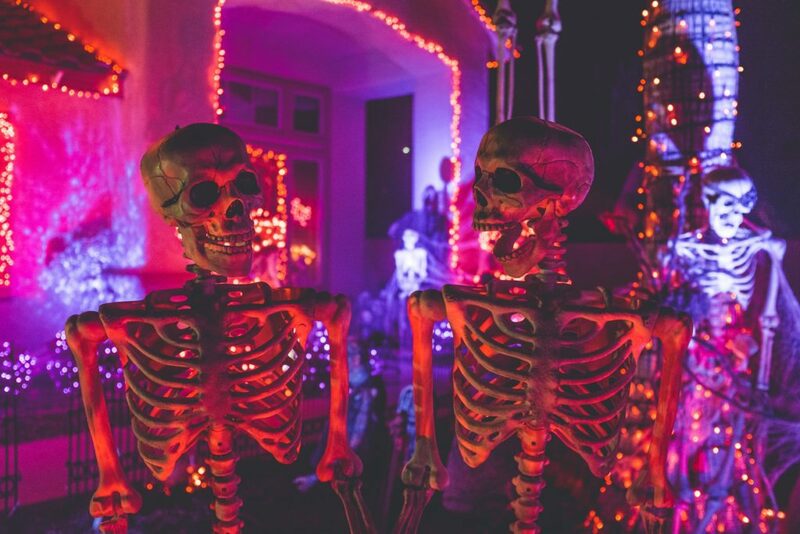 Hosting activities at one of your listing properties in an area with a lot of Halloween foot traffic will turn this property into a hot topic of conversation. 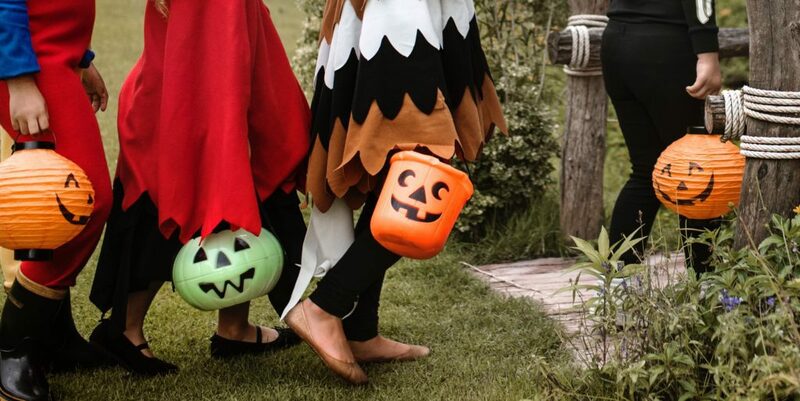 Plan activities like bobbing for apples, a bounce house or a costume contest at one of your listings to naturally attract people to the property. While the kids participate in fun activities, you can offer snacks and branded goodies to the adults. Your property will be a talking point for the kids at school and the adults at work the next day. Even if none of the people who walk through are potential buyers (which they very well could be), they’ll spread the news. It’s also important that the for-sale sign on the front lawn be well-lit so that all who attend know that this property is on the market. If you live in a home, you’ll likely have people knocking on your front door. Take advantage of the opportunity to hand them a flyer with all of the properties you have on the market and other promotional goodies. You could hand out stress pumpkins with your logo and phone number on them or ghost tears (a.k.a. water bottles) with your information wrapped around them. You should also take advantage of introducing yourself as a friendly neighbor to these people. If you build a bond as a trusted neighbor, they’ll likely trust you when they need real estate help. And don’t forget to get some of the good candy for the kids. They’ll remember you next year and want to come back to your house again and again. When they’re focused on their kids’ costumes and buying enough candy, parents often forget what their child is going to carry their candy in. Often times, it ends up being a grocery bag. Put your logo, contact information and a creative Halloween design on some reusable trick-or-treat bags. Distribute them to your clients and all the families you know! You’ll make it easy for parents and position yourself as a dependable person who’s on their side. But, more importantly, the kids will become your walking billboard throughout the night. They’ll show off your contact information at every door they knock on and in front of parents that walk by throughout the night. Parents can use them on a regular basis for grocery shopping after Halloween is over too, which furthers your reach. And when people pack up to move, they find all the reusable bags they had stored in the closet. It’s an ideal time for your name to be in their face. Try these Halloween marketing tricks, and enjoy the treats.